Is there anything more awe-inspiring than a game used Babe Ruth bat? Besides the sheer scarceness of a Ruth gamer, just handling one of the bats used by the Babe is enough to make one’s head spin. This particular Ruth bat dates from the 10-year period of 1921 to 1931 when Babe Ruth emerged as the greatest baseball player in the land. In that time period, Ruth single-handedly supported the printers that produced baseball record book because every season he seemed to break one offensive record after another. Ruth’s plate appearances seemed almost effortless. According to him, all he did was go up to bat looking to make contact. Fastball, slider, curve, screwball - he didn’t worry what a pitcher was throwing him, he just hit it. So, if one tried to think of one artifact that best exemplifies Babe Ruth, it would have to be one of his bats, the tool that made him famous. That this one dates to Ruth’s greatest seasons only makes it more desirable. The bat’s 34-inch length is slightly smaller than the typical 34 ½ - 36-inch lengths that the Babe used throughout the 1920’s when every home run he hit was the new career record. 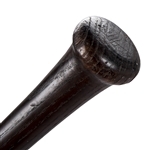 However, according to the game used experts at Mears, “Ruth also stated in an interview he sometimes ordered bats shorter than his 35” examples.” This stick weighs in at 38 ounces which Ruth typically favored during this period. 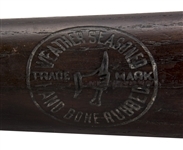 According to MEARS, most Ruth bats in the hobby fall in the 38 to 51 ounce range. The bat exhibits heavy game use. The handle has a slight crack, but has been professionally repaired. There are ball marks, stitch impressions and bat rack streaks present throughout the barrel, as you would expect from a bat swung by the greatest slugger to have played the game. There is some slight grain swelling from repeated ball contact. An incredible piece of baseball’s storied past, dating from a time where Babe Ruth was the most recognized man in the nation and every home run he hit necessitated a correction in the record books. 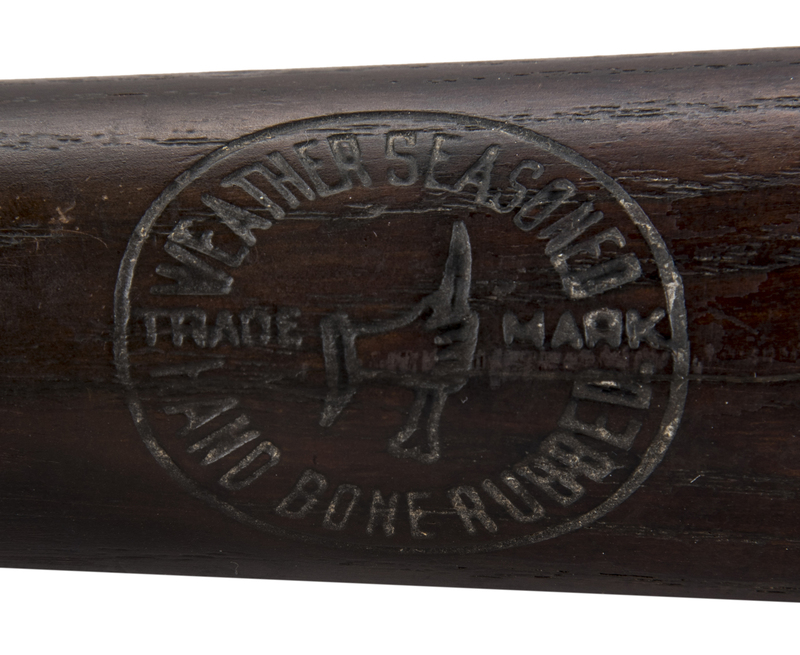 This bat comes with a LOA from MEARS (309741), who have graded this bat an A6.